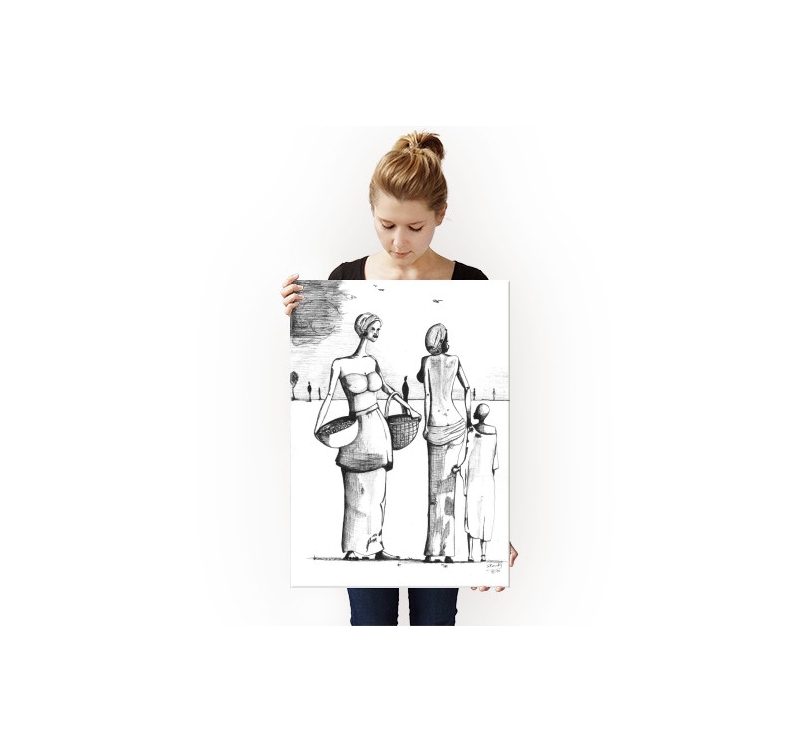 This delicate metal poster is called the ladies of the village. 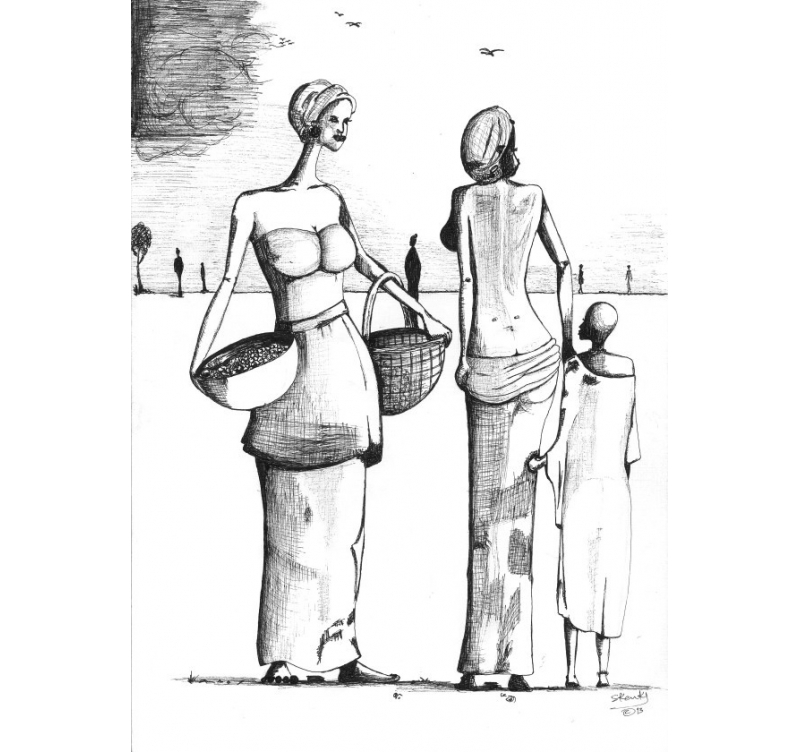 It depicts African women and a child, drawn in pencil by a Nigerian artist. A delicate and poetic interpretation of the daily life of his country. 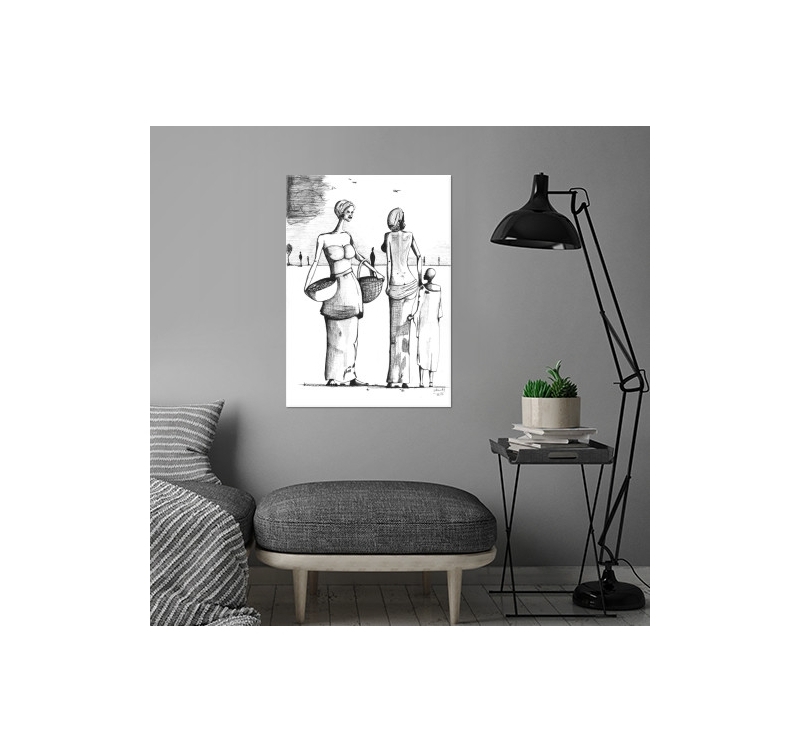 Free delivery in Metropolitan France and Belgium for this metal wall poster The Village ladies. 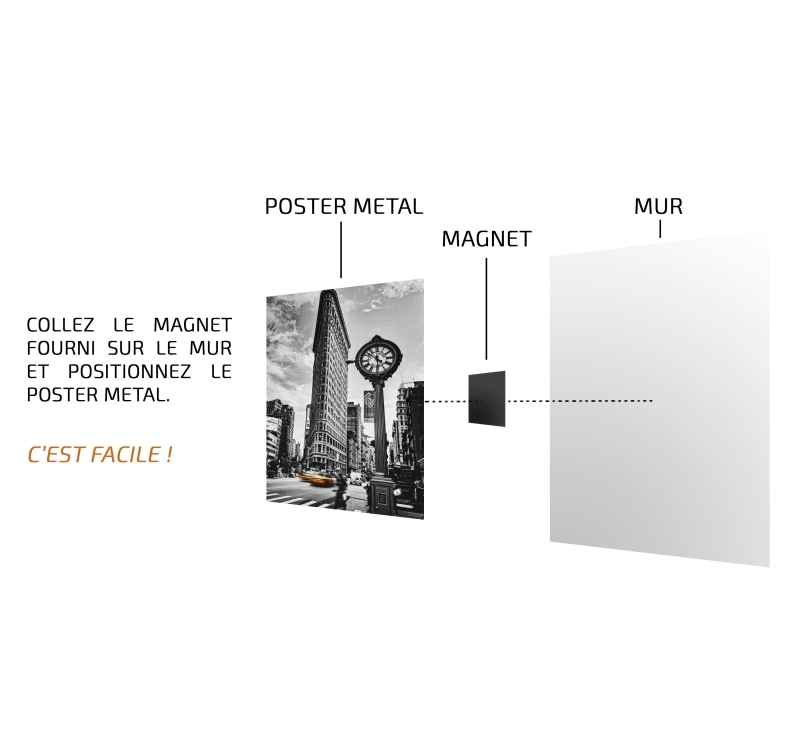 The metal poster is an amazing medium that magnifies the design of Babsy Adelo. A Nigerian artist living in Ireland, he specializes in figurative drawing and uses both pencil, pastel and felt. 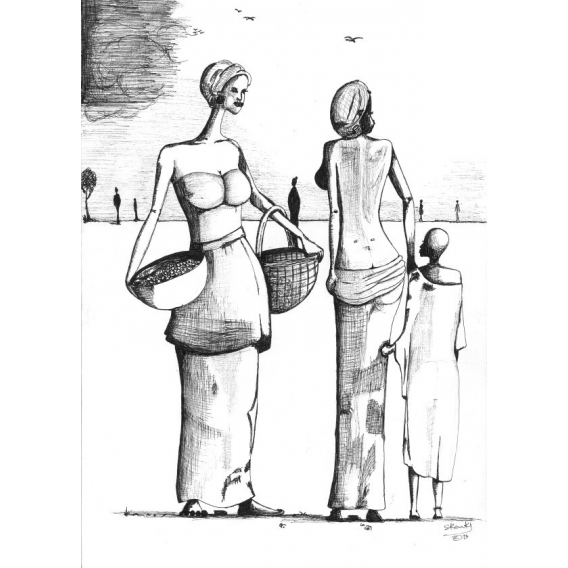 For this return to Nigeria immortalized on a metal poster, two women seem to meet, one loaded with baskets and the other accompanied by a child. In the distance, in the savannah, we make out other silhouettes. The pencil stroke visible on the metal poster magnifies the shapes of these characters. A beautiful metal wall poster that will decorate your living room, bedroom or office. To hang the metal poster, a simple sticker magnet is enough. 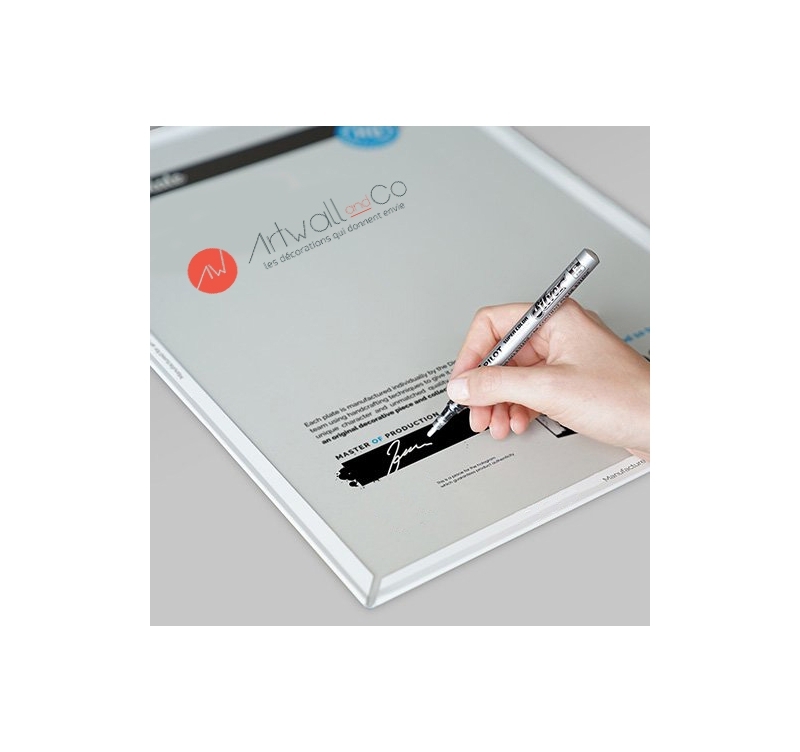 It comes with the metal poster, only a few seconds will be necessary to admire your work of art.